At the base of it was the urge, if you wanted to play football, to knock someone down. That was what the sport was all about, the will to win closely linked with contact. The true measure of an individual lies not in whether he gets knocked down, but rather if he gets up after that fall. Throughout eons on the wild Nebraska plains there were continual tests, trials, tortures and tears, with even the hardiest of creatures remaining down for the eternal long-count. Did you know, for example, that the Cornhusker state has the most complete fossil record of elephant evolution than any state in the Union, historical remnants having been found in 90 of its 93 counties? 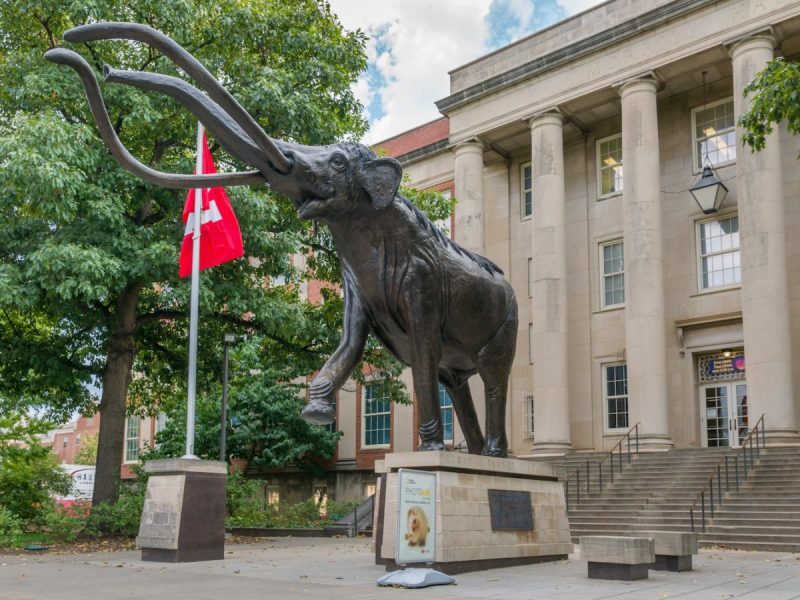 The most ancient of these elephants was the Prod Tusker, with not only two, but four lengthy ivories; an animal whose bony remains are on display just yards from Memorial Stadium in old Morrill Hall near 14th and Vine. Like living bulldozers of their era, the “Four Tuskers” were built for power rather than speed, and with a massive lower jaw and short, stout legs they purportedly plowed through the lush Nebraska forests an estimated 6 to 14 million years ago. In the same spirit as that long dead beast, there roamed a tight end who excelled similarly in laying to waste most anything in its path: Ponca walk-on Gerald Armstrong. 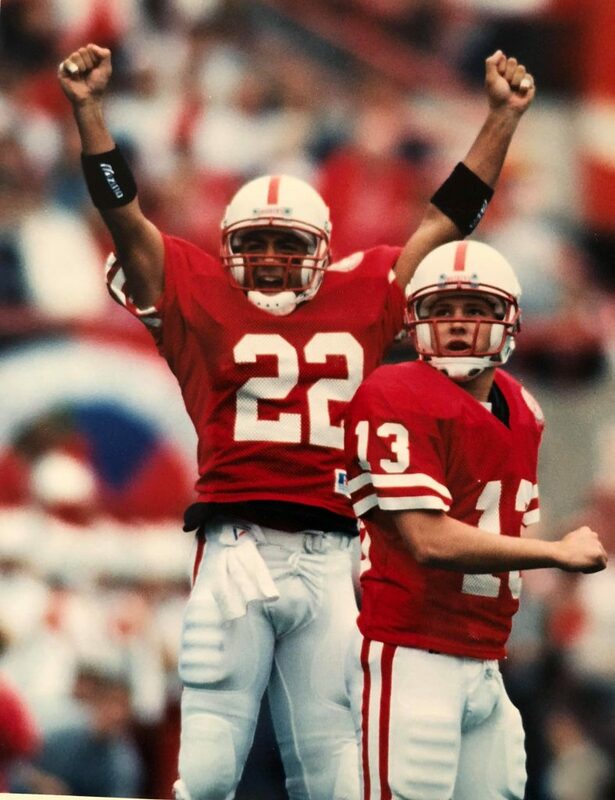 Relishing the role of punisher and running roughshod over defenders in the name of Husker offensive progress, his was the living out of many a Nebraska boy’s dream. Let’s dig down deep for a few fossilized finds in Gerald’s memory…. Question: So you’re living in Lincoln, Gerald? Gerald Armstrong: That’s right. I went away for a little bit to the Canadian Football League, but it was pretty short-lived and I ended up back here working construction for a little while and started my own company. I got married and have a couple children. Q: Where did you play in the CFL? GA: I went to training camp with the Hamilton Tiger-Cats for a couple weeks, but it was kind of tough to make the team because they had only three positions for American players -or they did at that point in time- and they usually reserve them for specialties. In fact, Steve Taylor was up there at that time, so I got to catch a few passes from him. And then I ended up going down to the Shreveport, Louisiana Pirates for a few months and was on the practice roster. And it was kind of funny, because they don’t really have the tight end in the Canadian Football League, per se, and so I went to an X-back, an H-Back. I was a little out of my element, but still it was a good time and a good experience. Q: You’re from Ponca, Nebraska, right? GA: That’s right. And I walked on. Q: Tell me about that whole experience. How did that happen? GA: I guess I knew -just like a lot of kids who grew up in Nebraska, it was a dream of mine- and all of a sudden I started to improve in sports as I got a little bit older, and as a junior in high school I decided to go down to the summer camp at Nebraska and made as good of an impression as I could. And my high school coach helped me out quite a bit: he put together a film and sent it down there. And also, there was an individual by the name of Larry Buhl. He knew Coach Osborne and he put a word in for me to look at the tapes. They liked enough of what they saw and asked me to walk on. Q: Were you recruited by other schools? GA: Yeah, I was, but they were smaller colleges like Wayne State and colleges of that caliber at that time. I recall the coach of Wayne State -I don’t remember his name from that time- he more or less told me that I wouldn’t be playing at Nebraska, and if I came to Wayne State I’d be playing right away. He really didn’t smolder my dream, but instead he kind of threw gas on the fire, I guess. (laughs) I had my mind made up that that’s what I wanted to do and it worked out pretty well. Q: Your parents were fully behind you? They were 100% behind me and were great about going to the games and absolutely supported it, and it was a lot of fun. My mother is about as competitive as anybody, so she really got a kick out of going to the games and really enjoyed it. Q: How large was your farm? GA: At the time it was about 1,100 acres with both cattle and grain. 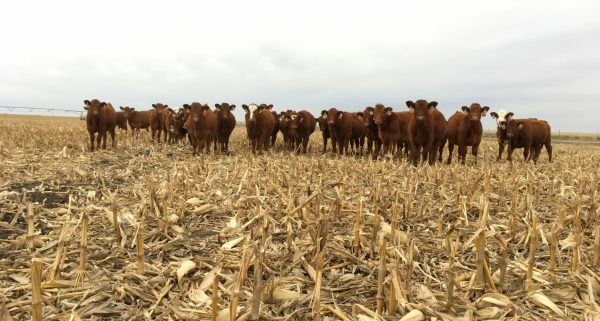 They have since retired and still live on the farm, but they’ve scaled back. Q: So you spent many summers moving irrigation pipe? GA: Well, fortunately –or unfortunately- up in the northeast it’s a little hilly, but we had pretty good soil up there so there wasn’t much need for irrigation. But I definitely walked my share of beans and threw some bales and did my share of that. Q: Good preparation for summer conditioning in later years? GA: That’s right. (laughs) Yeah, that’s right. I noticed you’re from Petersburg. I suppose you did the same stuff, too. Q: A farm is a good way to keep a kid out of trouble, right? What year was your first fall camp, Gerald? GA: Well, it was the fall of 1989. Q: So you were probably one of about sixty freshmen in ’89? Q: Do you have any initial recollections? First memories? First impressions? Q: You moved into the dorms? GA: Abel. 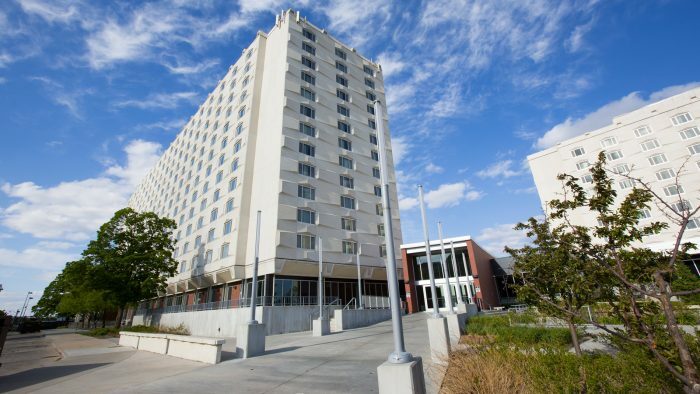 I moved into Abel Hall. Q: Who was your first roommate? 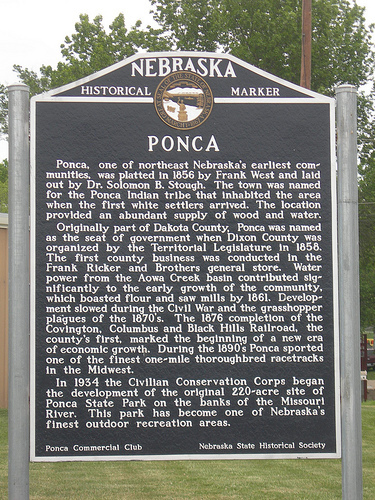 GA: My first roommate, actually, was a kid from Ponca. His name was Phil Carter. He was a great guy and we lived in the dorms for two years and then one year off-campus. He went into media and worked for the Southeast City-Star for a while and now works for Briar Cliff or Morningside. He gave me a little press up there at the time. (laughs) He was going down there to school and we talked about it and I felt comfortable with that scenario. I really hadn’t thought about living with another athlete -and that probably wasn’t the best move for me because I was really trying to live two separate lives, because you have the guys who have late classes in the day and stay up at night, and that first year was a little rough in that aspect. But I don’t regret any of it. Q: Who did you end up rooming with later on? GA: Some of my roommates at the time were Sean Dostal and Rod Haarberg. Both of those guys were amazing athletes. They were pretty good athletes, but they just decided after a couple years to make different choices, and a little bit later I ended up living with Mike Vedral. Q: So from the walk-on angle, what do you think separated a guy like you -hanging on and plugging away- and the guys who finally just said, “This isn’t for me”? GA: You know, it’s quite interesting. Even to this day it’s hard to say, because I remember walking back from one of the practices after we’d been in fall camp for about three weeks, and I remember a guy by the name of Greg Christianson walking back to the dorms: and he just broke down. He was just beat mentally and you could just tell he was struggling with all this. And that first three or four weeks had claimed close to twenty guys who didn’t end up staying on the team. I could tell talking with him that it was such an internal struggle for him to make that decision, because like me he had dreamt about this and wanted to make it happen. I guess, for me, I didn’t have anything else. Because for me? I went to Nebraska to get an education, of course, but it was so intertwined with the fiber of my being that there wasn’t really an ‘out’. I was just going to do it. Q: You were sold out from the get-go? There was no turning back, hell or high water, as they say? GA: (laughs) That’s right. And there are good and bad things about that, but I am so glad I stuck it out. Not just because of what I may have accomplished, but just the camaraderie and the guys and the friendships. It was just a once-in-the-lifetime thing. Q: You took part in the freshman football team, I take it. Were you a tight end from the start? So I walk into the room with the fullbacks and just stuck out like a sore thumb. These guys were all 5’ 11” to six foot, 210 to 220, and I just thought to myself, ‘This isn’t going to work out.’ (laughs) So they actually asked me what I wanted to play and I said, ‘Tight end.’ I played some my last year in high school, so that’s how I started the whole adventure. Q: What size were you at the time? GA: I wasn’t really big. I was just about 205. About 6’3” and 205. Q: Who was your first position coach? GA: Well, it was Bill Weber. He coached the tight ends on the freshman team, and of course, Thorell was the coach there. It was a good time, a learning experience. Q: When did you first start butting heads with the varsity players? GA: Well, that sophomore year when you’re on the so-called ‘meat squad’ and you get to realize the strength and the power and speed of those guys, you’re so awestruck. They’re so much faster and bigger than the guys you see in class C in high school, so my redshirt year all I had to do was lift weights and eat and get bigger and stronger and work on my game, so I’m thankful for that redshirt year. Q: If I recall, were you in line for the Lifter of the Year Award? Q: Did you win it? GA: No, I’m trying to remember who won it. Was it Mike Anderson? Donta Jones won it one year. But it was quite a program. You guys really had your act together down there. Q: Thanks. So you were down in the north locker room, I take it. When did you make the jump to the south locker room with the varsity? GA: It was my sophomore year, the year after my redshirt year. It was actually during the season and it was pretty crazy. I knew I wasn’t going to get a lot of playing time because of Will Washington and Chris Garrett and Darryl Liese, and you had Johnny Mitchell coming in the next year, but it was kind of fun. Q: So Coach Ron Brown had you from then on. How would you describe him and his methods? How would you best define him? GA: The first word that comes to my mind is just ‘energy.’ He demands a lot from you, but not in a negative way. He’s not afraid to raise his voice, but it’s one of the more interesting things, because my parents grew up old school and their parents were even more stern than them, so I understood what it was like to live a relatively strict and proper way and I wasn’t afraid of voices being raised, but he did it in a manner that wasn’t degrading or negative, so that aspect of it is quite amazing. He’s still that way today. Q: Do you recall any of your first interactions? Initial memories? GA: I do remember, in general, when he was first trying to teach technique and blocking, you could just tell I had a long ways to go to learn the techniques and things. But after a lot of practice and starting to make some big improvements in almost every aspect of the game, I remember one practice we were out there and we were running a skeleton play: Coach Osborne was out in the middle of the field and called me over -right in the middle of practice- and he said, “Gerald, you’ve been doing a lot of good things and there’s some real potential for you to get some playing time, so I want to you to be ready.” And man, you talk about a boost in confidence? 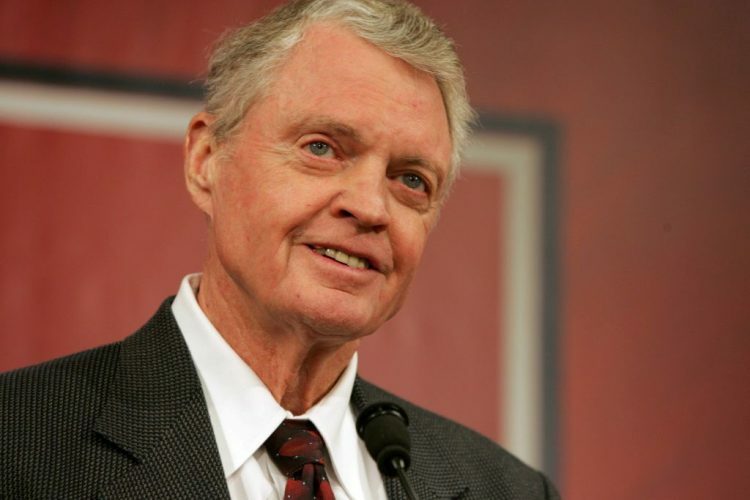 Q: Coach Osborne pulled you over? Q: So he’s standing in the middle watching all four stations going on around him, and amid all that ruckus and pandemonium he calls you, Gerald Armstrong, over for an encouraging word? GA: Exactly. That was so much better than him pulling me in the office and saying that. And just like you said, there was so much going on, and he took the time to make that point to me. I’ll never forget that little thirty second conversation. That was awesome. Q: I’ll bet with all the adrenaline you had from that you’d wished we had forty yard testing promptly thereafter, huh? Q: Any other comments on interactions or Coach Osborne’s methods? GA: You know, it’s so interesting: people who weren’t close to him or didn’t know him personally? He’s one of those people who gets ‘taken for granted’, is the phrase I’m looking for. He’s not boisterous, he’s not flashy. But his technique and his demeanor and everything about him just says that he’s a true gentleman and a good person and phenomenal coach. Q: And when you say ‘technique’, was there a prevailing attitude or mindset he projected? GA: Well, he was so mild-mannered. He wasn’t one of the so-called rah-rah coaches, as you know, but he had a way about him that garners respect from the corn-fed boy from Podunk, Nebraska to the guy who came from Compton, California. It didn’t matter: he earned their respect. He didn’t just get it because of reputation; every year he earned it. And it was just because of his consistency and the way he coached and the man he was. Q: His character was simply revealed through his words and actions and demeanor? He didn’t necessarily have to precisely address it? Q: Do you remember the 1990 season? Do you recall the culture or the attitudes at that time? GA: You know, that year -just like every team, you try to grow and become better as an athlete and as a team- it just seemed like things were starting to line up. 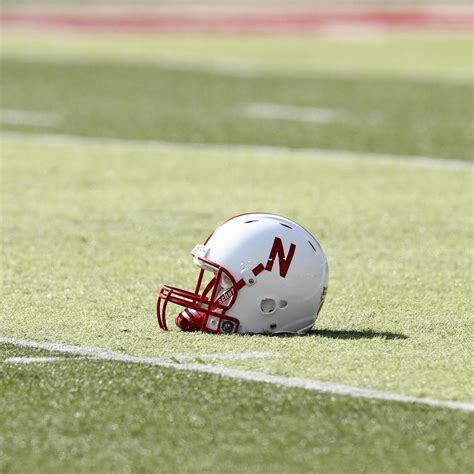 It just felt like it was moving forward and it wasn’t a lateral move like we had a lot of years at Nebraska. There may be a little dive and a rise there, but it just seemed that things were starting to click and line up. Q: In what way did things start to click? GA: Well, ultimately, at the end of our senior year in 1993, it just seemed like the team was focused and it seemed like everybody was working together for one purpose from top to bottom. I don’t know what set it apart, to be quite honest with you. Q: It was such a slow evolution that nothing really stood out to you? Like it just ‘happened’? Q: I got you. In other words, the repetition kind of starts catching up with you and in the end you get super-proficient in the process? Somewhere along the line it’s become second nature? Q: The jury’s still out on that one, Gerald. (laughs) And I must say, I feel the ’94 National Championship game versus Florida State for your final game was one of the greatest tilts of all time. What do you recall about that game and the journey leading up to that? GA: Well, it’s interesting. That game -after we realized we’d lost the game- it didn’t feel like they were the better team, actually. Yeah, they beat us, but it felt like we deserved to be there. And not only that, but it felt like we came up short and the better team actually did not win. I think that everybody on that team, the underclassmen realized that “We can play with these guys. We’re the real deal.” The confidence from a loss usually doesn’t come very often, but after that loss it felt like they went back to the drawing board the next year and really created something special. Q: Do you recall any specific moments in the locker room after that game? GA: It wasn’t much fun. It was awfully quiet. Coach Osborne came in and his talk was short. He told us he was proud of us and I don’t really think he was in the mood for talking. You could just tell that he was just as crushed as everybody else on the team because it was such a rollercoaster, such an emotional game. You’re in it and out of it, just up and down. His comments were pretty brief and to the point, but he still said he was proud of us and he still congratulated the team for their effort and everything. Q: Anything specific about that night stand out to you to this day? GA: I was having a lot of fun. The guys I was going up against were just monsters. Their ends were 6’4” and 6’5” and they were 240 and 250, just monsters. I remember them talking some noise the first down or two, and after I got up under their chin a couple times that ended real quick. I mean, it was a war out there. It was a blast. I don’t think for one minute that we felt intimidated or scared by what they were doing or their size and their jawing. We were prepared for it and in every part of the game, mentally and physically, we were ready to play. And we left it out on the field. That’s about it. After the game, it’s just a blur. You’re just kind of numb for a while. That’s what I remember. Q: Being your last game, I can only guess what you went through. With a 1:16 left you guys were all jumping up and down on the sidelines thinking it was clinched and then minutes later that joy was dashed, only to have one last shot at kicking the winning field goal as time expired. Were you on the last field goal detail there? Q: Do you recall Byron? Any guys giving him consolation? GA: No, I don’t remember. I thought Byron was a nice enough guy. I know that he did get some of that and he shouldn’t have felt too bad about it. That was his dream, too. He didn’t do that on purpose. Q: Heck, he hit that field goal with a minute sixteen to go. He thought his job was done for the night. GA: Exactly. No ill will toward Byron. That guy had a heck of a leg and he made plenty of field goals during the year. And like you said, he hit one towards the end. 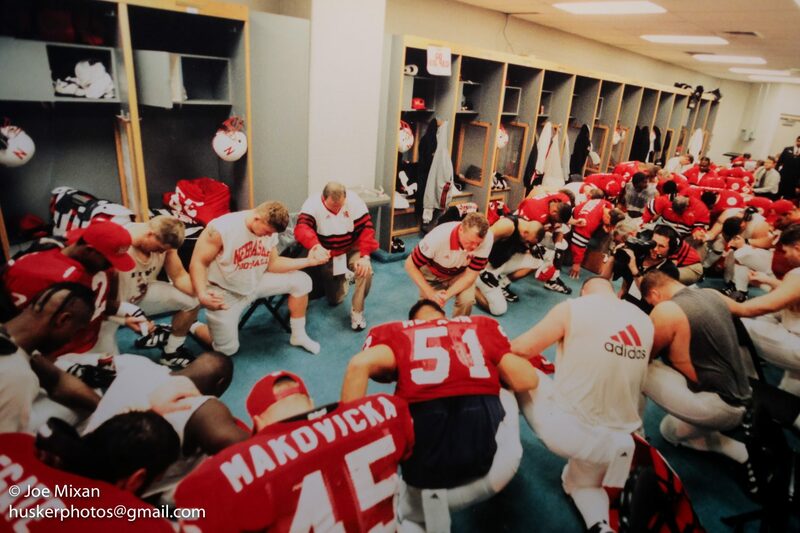 That’s a good lesson for everybody: win or lose, there’s more to life than football. Q: More to life than football?! (laughs) Speaking of lessons, what was your major, Gerald? GA: I got my degree in Psychology with a minor in Sociology. Q: What did you see yourself doing with that degree? Did you have an idea? GA: In one word, no. (laughs) I tell you what, that was my struggle throughout college. I was one of those guys who wanted to do everything and didn’t know what direction to go. So when I got out of college I knew how to work and I knew labor, so I started working for a guy in construction and started to figure things out. And seven years later I started my own construction company. Q: That’s cool. What did you hope to see, to do, to achieve? From a personal standpoint, being a walk-on to a warrior as a senior on the football team, what was your motivation? GA: That’s a pretty nice compliment, I appreciate that. I was just talking to a guy about a week ago about my little nephew wanting to have some candy, and his Mom said, “No.” So I had to tell him, ‘No, you’re mom says you can’t have any candy now.’ And an older gentleman at the table said to me, “You just wait. He’ll be back. You can’t crush the spirit of a kid.” He said, “If that would have been an adult, he would have just been crushed and walked away.” And I thought about that. And it’s so true. That spirit inside… some people, there’s certain things that they were meant to do and there’s just hardly anything that’s going to stop them from achieving it. 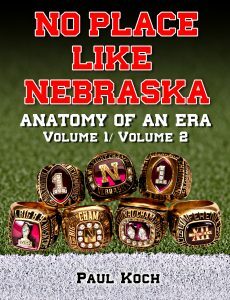 For some reason I think I had that in me when it came to Nebraska football. Q: Interesting. 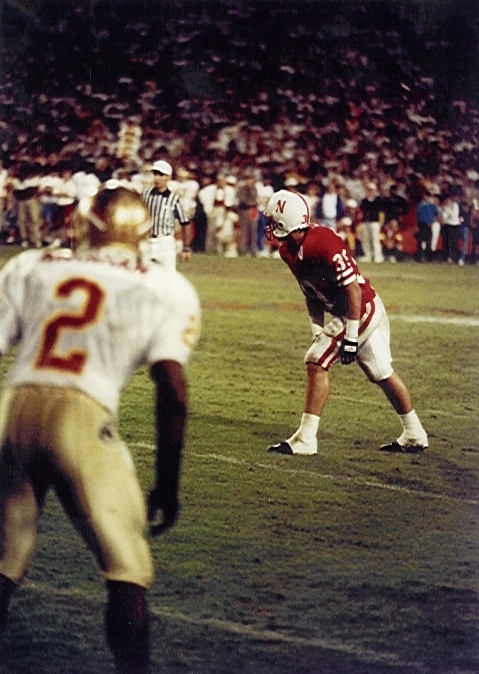 And let me piggyback onto that… It seems the team that ’93 year and then leading to ’94, ’95 and further on, it seemed Nebraska had a bunch of guys who had the mindset of, “We will not be denied.” Instead of wallowing in the misery of that loss, they instead got ‘pissed off’ and the next year said, “We are taking it! And no one’s going to stop us! Nobody!” Would you agree? GA: Oh yeah, it was pretty obvious. It was “back to the drawing board” and “how are we gonna win it next year?” It wasn‘t, “Are we going to be good enough to win ten games, eleven games?” It was, “We’re going to take it this time. And this time we’re the big dogs on the block.” So, absolutely, that’s the way it was.